and scuba diving at an additional cost. and nightlife of central Cancun. Thoroughly renewed and fronting a wide white-sand beach known to locals as the best beach in Cancún, Presidente InterContinental Cancun Resort offers abundant luxury and warm hospitality in one of the island’s most spectacular natural settings. 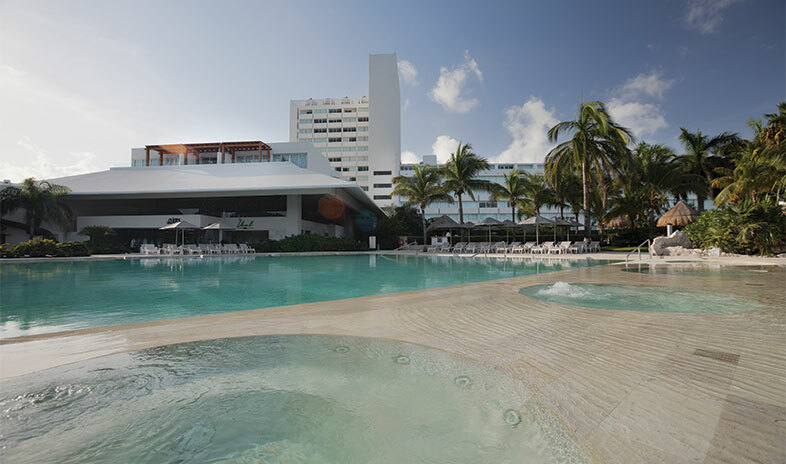 Convenience also plays a starring role: The resort sits near 18-hole golf courses, just one block from the Cancún Convention Center, and a ten-minute walk from Cancún’s legendary shopping and nightlife. For meetings and events, guests convene in 8,140 square feet of space with five options indoors, plus the beach, pool deck, and gardens outdoors. Inventive team-building activities, local speakers, community projects, and access to authentic venues and experiences that most tourists miss ensure great events every time. Dining experiences include four food and beverage options, everything from Caribbean-Mexican cuisine and fresh catch of the day specialties at El Caribeño on the sand, to Mediterranean fare at Le Cap, all-day beverages at Deck Bar, and a wide range of gins, rums, and tequilas at Epicentro. Just beyond the sand, a calm stretch of the Caribbean Sea invites snorkeling, kayaking, and windsurfing. Off-site activities like scuba diving, touring Mayan cities, and swimming with dolphins at Isla Mujeres complete the Cancún adventure. Our program ran flawlessly due to the attention of the staff. The facility is lovely but would not be worth anything without the service level presented by your staff. This hotel has not yet been rated (be the first) but it does have 1 review from planners.